*Disclaimer: This is a super belated post from my beach trip to Quan Lan Island in Vietnam 4 months ago in July. For the mean time, I am shivering in London’s gloomy rainy grey winter dreaming of our beautiful tropical beaches. 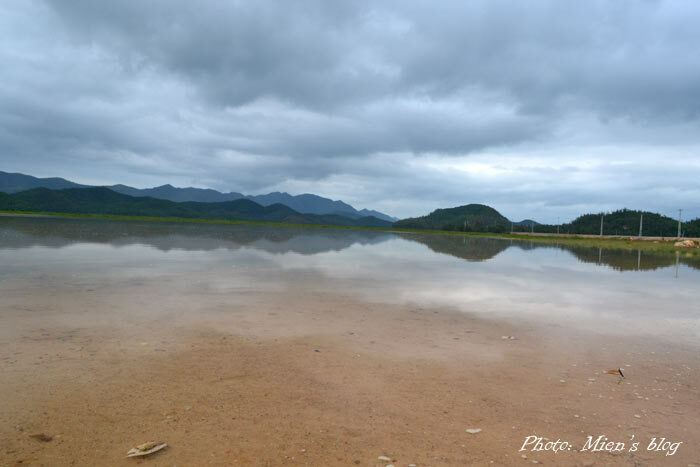 Compared with the South and most of the Central part of Vietnam where it is hot all year around, the North of Vietnam has a cold winter and the beaches are only crowded in the summer. 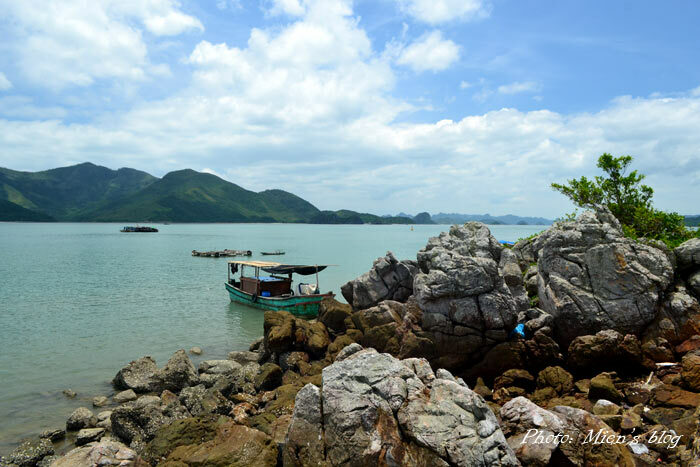 Besides the famed Ha Long Bay there are many other beautiful islands in the nearby Bai Tu Long Bay in which Quan Lan is one of the two most popular, together with Co To. 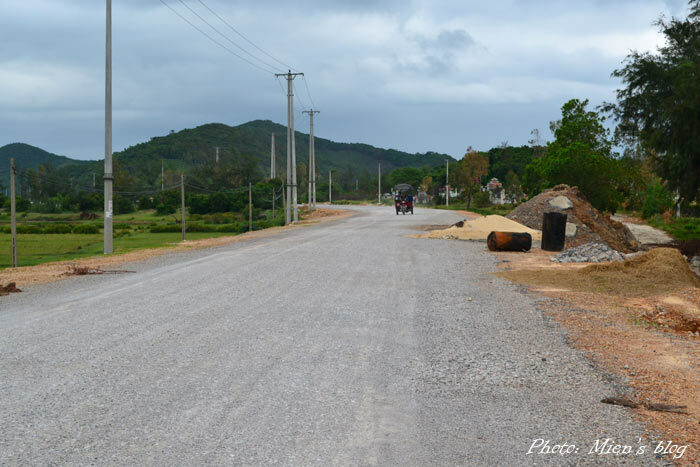 However, for a tourist attraction, Quan Lan is quite under-developed. There are 3 main beaches in the island: the most serviced (i.e touristy) one is Minh Chau, the most populous is Quan Lan (also the main town) and the almost-deserted one is Son Hao. Quite simple. Take one of the buses from various bus companies going to Van Don (Vân Đồn). We took a bus from Xuan Truong company. Check their website (Vietnamese only, but google translate works well). They have buses leaving from My Dinh or Luong Yen stations. Buses leave Hanoi either 5.30 or 6.15 in the morning to Cai Rong (Cái Rồng) port. Call them in advance to reserve seats and also to confirm the departure at 0912 767688 / 0982 332266. It often takes around 4 to 5 hours to get to the port depending on the traffic (cost 120,000 VND/per pax). From there you can buy high-speed boat ticket (~1 hour, ~160,000 VND) or wooden boat (~3 hours, a lot cheaper than high-speed boat) to get to Quan Lan island. The scene on the boat ride is just magnificent! The beach that has most tourists is Minh Chau. This is a very calm part of the island with beautiful white sand and almost no waves, well-serviced with lots of hotels, guest houses and restaurants. However, during summer in June and July, and especially at weekends (high season), all of them can be full so it’s worth booking in advance. The most popular hotel is Khai Mai (call 0969001899). 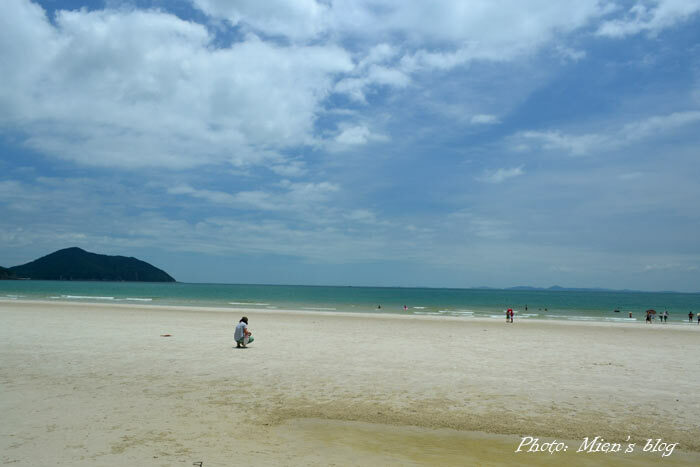 The second popular beach is Quan Lan, which is a bit of tuk tuk drive from the main town. There are lots of guest houses, hotels and restaurants in the town, together with all services you may need including motorbike and bicycle renting, seafood shopping and at a much more reasonable price than at the touristy Minh Chau. The beach, however, is not very nice, and honestly, my friends and I found people around that beach sometimes a bit annoying and unhelpful. The deserted one, Son Hao, literally has nothing. The beach is at least 200m away from poorly serviced guest houses. There is almost no restaurants or shops, but the fact that you own the beach might compensate for one night or two. Lots of people also choose to camp on the beach here instead of going into any hotels. I think next time coming back to Quan Lan, I’ll stay in the town and rent a motorbike to ride to either Son Hao or Minh Chau for a swim. Beside jogging along the beach and enjoying the sea? Obviously driving a motorbike around the island! Also, turning your music at loudest volume and dancing under the moonlight on your *private* Son Hao beach! And this whole 4 day 3 night trip cost us only 2 million VND each (USD 100), and we had great fun and great time! 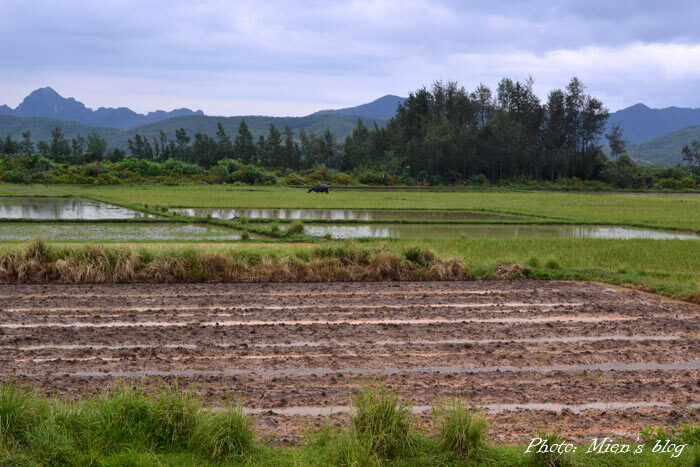 This entry was posted in Vietnam, Vietnam Travels and tagged Beach, Quan Lan, Vietnam, Vietnam Travels. I haven’t been there – something to think about the next time I’m up north. I’m sorry you had that experience. It is still good to hear about a new place. What hotel did you stay at on Quan Lan? And, any favorite restaurants? Thanks! 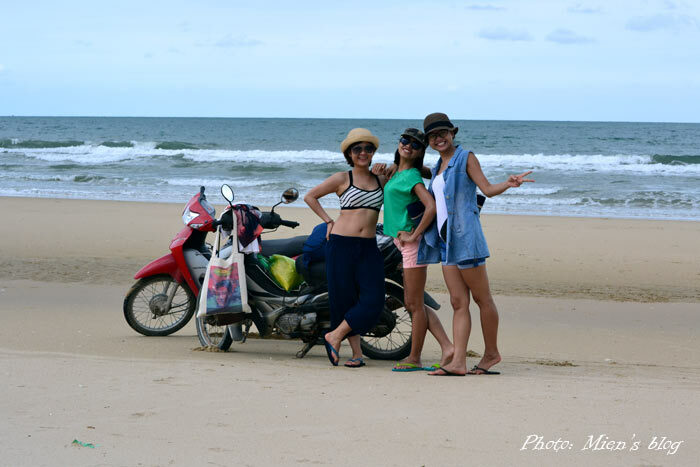 Hi Jenny, we didn’t stay at Quan Lan town, but a random hotel near Minh Chau beach, not totally recommended so I left the name out of the post. I have no preference for restaurants either, unfortunately..